End to End mobile app development. More than 50 apps launched. We take care of you on-going basis. Your trusted mobile app experts. You don’t have to be technology savvy. Your ideas, our technology expertise. You can also Hire developers, Testers, Designers and Marketers on need to basis to form your virtual project team. Engage our expertise for Conceptualizing, Design, Development, Integration using industry best practices and quality standards. Bid2Bring’s delivery service provides a means for local independent drivers to bid on your delivery needs. 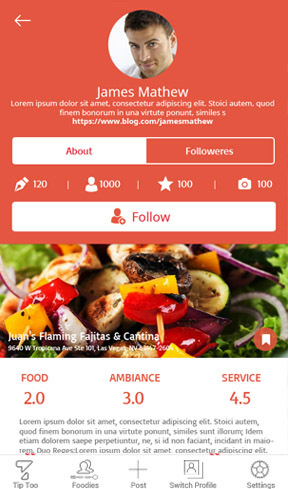 Tiptoo list out location based restaurant, based user profile. There are 4 types of profile i.e single, Friends, Couple and Family. 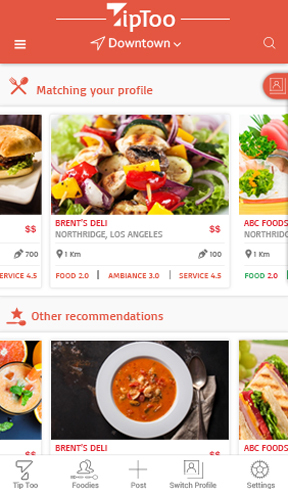 Any time user can switch profile and look for near by restaurants. Even user can browse other than current location. 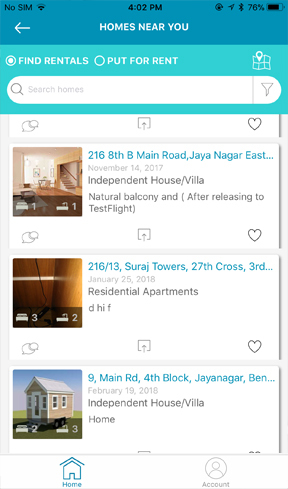 User can suggest best dishes served in restaurants, Foodies can review on restaurants, Other people can follow foodies and many more features are available in tiptoo app. 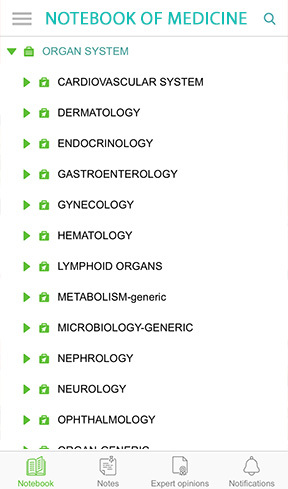 Notebook of medicine is a ‘Social Network for Doctors and other healthcare professionals. Caring through Sharing’. 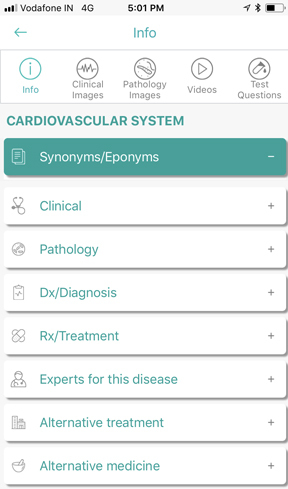 Access info on most of the disease and their Dx/Rx in a logical way in a structured book. Take notes and upload images & videos for that disease in the same book. Share with others doctors your clinical, pathological and Rx images/videos. 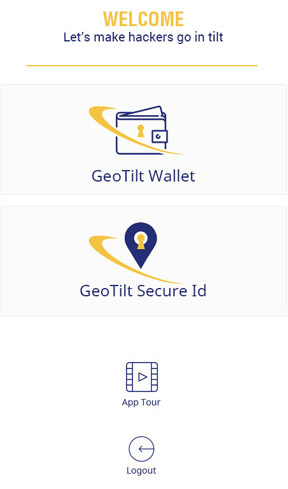 GeoTilt allows the users to securely store all their credentials, notes, addresses & credit card details.It allows users to access users private information across devices using its full synchronization and backup mechanism. 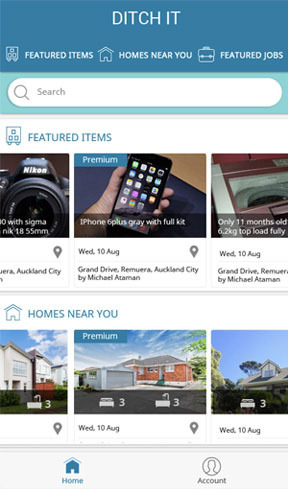 Ditch It is an app designed for people who are constantly moving, It allows you to Buy and Sell anything in you current area or look at what is listed around the corner. You can list an item for sale a place for rent or even an employment opportunity. 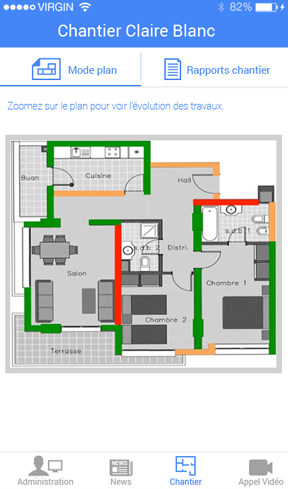 The Best Way To Monitor The Different Stages Of A Home Renovation… 2)Remotely Follow Daily Advancement Of Construction Work On Your Smartphone… 3)An Easy And Secure Solution Always Accessible From Your Smartphone, Tablet Or Computer ! Dealsay Automatically Alerts You To The Hottest Deals And Coupons You Want To Hear About. The Deals Are Always Within Minutes Of Where You Are! Challenge Your Friends To ANY Competition To Support ANY Charity! OGA Let's You Challenge Your Friends To Compete In Any Contest, To Support Any Cause, Letting You Live And Share What You're Passionate About, One Good Act At A Time. Create A Video Of The Contest And Instantly Share It On Facebook With Family & Friends. Ridebids Revolutionizes The Taxi And Ride Share Services By Allowing Drivers To Bid On Customer's Trips. 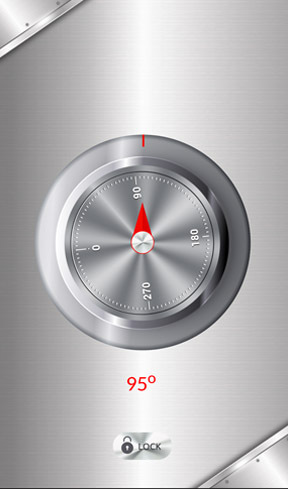 A Customer Can Enter His/Her Starting Point, End Point, Date And Time. Then Potential Drivers Or Taxis Can Bid On Customer's Ride. Customer Can Choose A Driver Based On Lowest Fare, Reviews Or Type Of Vehicle They Drive. This Is Perfect For Long Distance Travel. Flashbaq Is A Fun And Easy Way To Capture And Attach Personal Videos To Physical Objects Through The Use Of Flashbaq Stickers. We Can Use The Free Flashbaq App To Link A Video To One Of Your Own Flashbaq's Or Scan Others To See Memories From Friends, Family And Other Users. 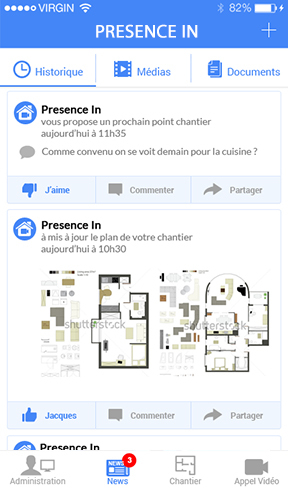 Follow Your Friends And Family To Keep Up With Their Activity And What They Are Scanning! 21Teach Is The Mobile-Friendly Digital Library Of STEM (Science, Technology, English, And Math) Open Educational Resources (FREE) That Allows Teachers, Students, And Parents To Quickly Search For Games, Apps, Videos, And E-Books That Are Educationally Sound, Based On Grade Level, Subject/Topic, And User Rating. The Resources Are Aligned To The Common Core To Help Teachers And Students Find Resources That They Need To Be Successful In The Classroom. Add Friends By Using Our Art Messaging System Jiji's Art & Buzz Arcade. Add Friends By Using Our Art Messaging System Jiji's Art & Buzz Arcade. 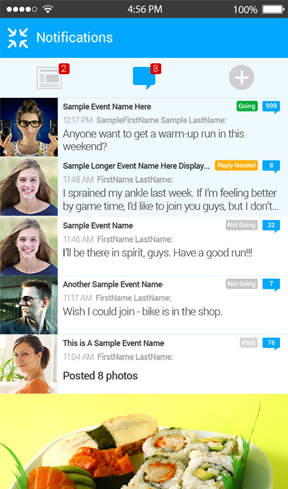 Customize Your Messages By Using Our Many Drawing Tools. Transform Everyday Messages Into Works Of Art You Can Share With Friends And Family. For Use As Young As 3 Years Old To Capture Your Child's Artistic Imagination That Allows Them To Communicate Before They Learn To Write Or Text. 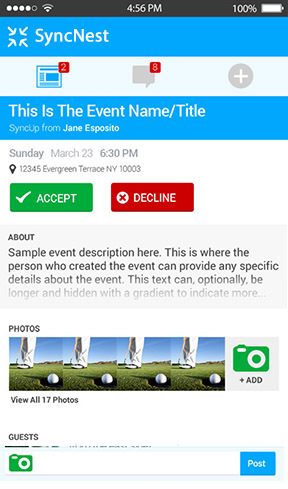 Create And Share Their Gallery Of Artwork. The Best Way To Manage Your Most Influential Business Contacts. Postomio Is A Powerful Collaboration Tool That Allows You To Negotiate Successful Business Transactions By Better Understanding Who Is Your Contact. With Postomio, You Have Real-Time Contact Information, Saving You Precious Time And Efforts. Let's Face It, If You Have The Right Contact Or Decision Maker, You Save Time, Money And Improve Your Chances In A Successful Business Transaction. Buy And Sell Discount Coupons, Giftcards And Maximize Your Savings And Earnings!! Unbelievable Savings On Discounted Groupon,Living Social And Other Coupons As Well As On Brand Name Discounted Gift Cards. Shopping Is More Fun With Double The Discounts!!! Unbelievable Earnings On Your Unused Gift Cards And Coupons Which Are Not Used For A Long Time Or Are Going To Expire Soon. You Will Be Surprised How Much Money Is Just Lying There In Your Sock Drawers. Just Scan Them Using Our App And Put Them For Sale. The Product Nuedoo Brings The Beauty And Wellness Industry Right To Your Phone! The Product Nuedoo Brings The Beauty And Wellness Industry Right To Your Phone! This App Revolutionizes The Search For Beauty And Wellness Professional Services. Both The Client And Professional Will Appreciate This Enhanced Matching Experience! Suburban Deals Offers A New Online Discounted Daily Deal Everyday That's Exclusively For The North & Northwest Suburbs Of Chicago. UrWell Is An Intuitive App That Helps Modern-Day Wellness Seekers Interpret Trends In Their Lives. UrWell Is An Intelligent And Easy-To-Use App That Helps You Understand Trends In Your Life And Improve Your Overall Wellness. A Good Application For Conference Management. Award Winning App That Allows Marketers To Create Surveys That The Users Take On Their Phone And Get Paid. Kids on Track Checklists is easy to use and ideal for the caregiver-on-the-go who wants to track a child’s development and identify potential delays. Developmental skills are written as age specific checklists. The Activities help a child master these skills.